2.00. Fishing Methods — General. (a) Except as otherwise authorized, all fish may be taken only by angling with one closely attended rod and line or one hand line with not more than three hooks nor more than three artificial lures (each lure may have three hooks attached) attached thereto. Anglers in possession of a valid two-rod stamp and anglers under 16 years of age may use up to two rods in inland waters which regulations provide for the taking of fish by angling, except those waters in which only artificial lures or barbless hooks may be used. 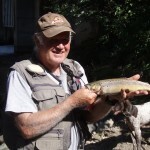 See District Trout, Salmon and Special regulations for exceptions. (2) All lakes and reservoirs except those in the Fall River Valley, those in Inyo and Mono counties and those listed by name in the Special R 4.30. Bait Fish Use in the Sierra and North Coast Districts.Except as provided below, live or dead fin fish shall not be used or possessed for use as bait in the Sierraand North Coast Districts. (a) In Donner, Fallen Leaf and Tahoe lakes Lahontan redside, tui chub, Tahoe sucker, Lahontan speckled dace, mountain sucker and Paiute sculpin may be used only in the same lake where taken. (b) In Shasta Lake only golden shiner, red shiner, fathead minnows, mosquitofish and threadfin shad may be used or possessed for use as bait. (c) Crayfish shall not be used for bait in the Pit River and all tributaries between Pit 3 Dam (Lake Britton) and the Fall River-Cassel Road Bridge at Fall River Mills, California (includes Hat Creek and Fall River and their tributaries). (5) American River (Sacramento Co.) from mouth to Nimbus Dam. 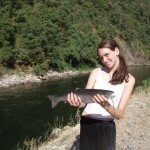 NOTE: Only the American River fishing regulations prior to July 31 are shown in this booklet. 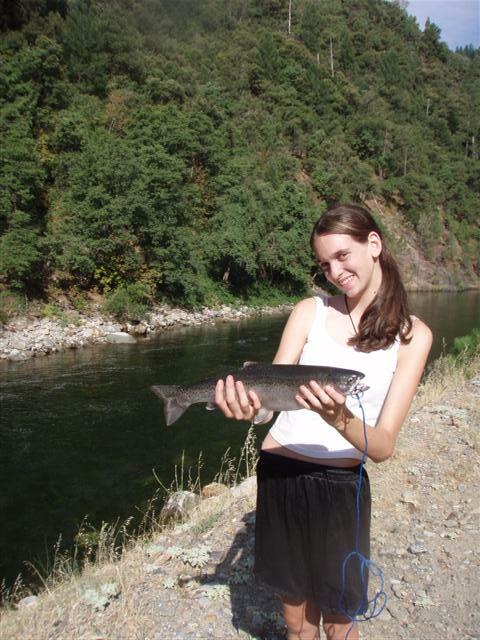 The 2011 American River salmon regulations will be decided in April 2011 by the California Fish and Game Commission to align with the 2011 federal salmon regulations. 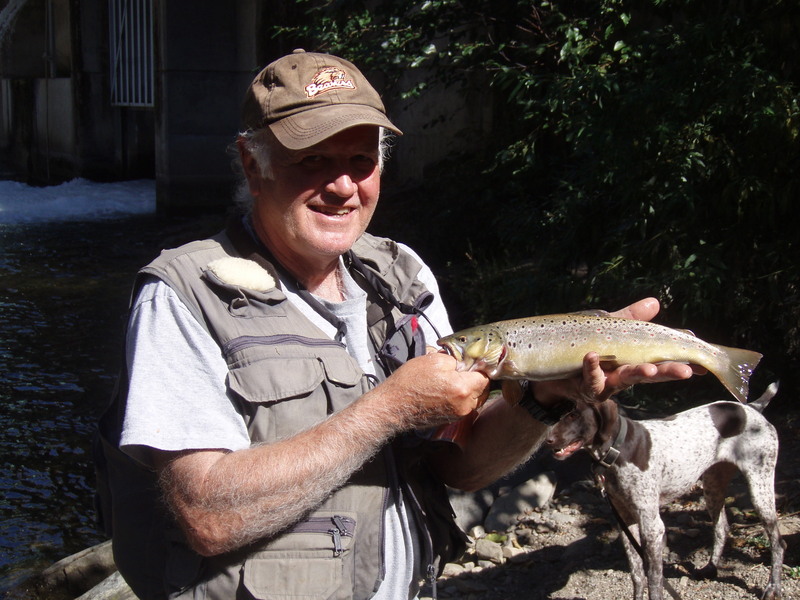 The final 2011 trout and salmon regulations will be announced on the Department web site (www.dfg.ca.gov) and will be available in the 2011-2012 supplemental fishing regulations booklet in May 2011. 4 hatchery trout or hatchery steelhead** in possession Closed to salmon fishing. (B) From Hazel Avenue bridge piers to the U.S. Geological Survey gauging station cable crossing about 300 yards downstream from the Nimbus Hatchery fish rack site. Jan. 1 through July 31. (C) From the U.S. Geological Survey gauging station cable crossing about 300 yards down- stream from the Nimbus Hatchery fish rack site to the SMUD power line crossing at the south- west boundary of Ancil Hoffman Park. Jan. 1 through July 31.